GT Radial Savero Komodo M/T Plus is specially designed for 4x4 drivers who require a more aggressive pattern. The tire offers impressive Off Road performance in standard (OEM), and heavily modified (4x4 tuning) vehicle. 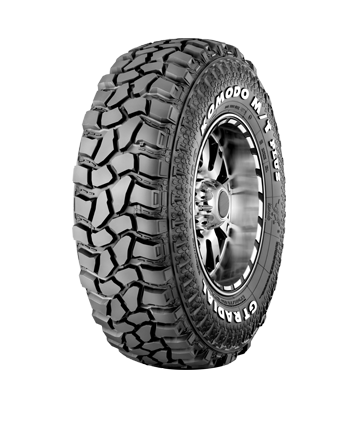 Savero Komodo M/T Plus tire can handle wide variety of road conditions, adverse weather and extreme driving demand. Be Adventurous with Savero Komodo M/T Plus!